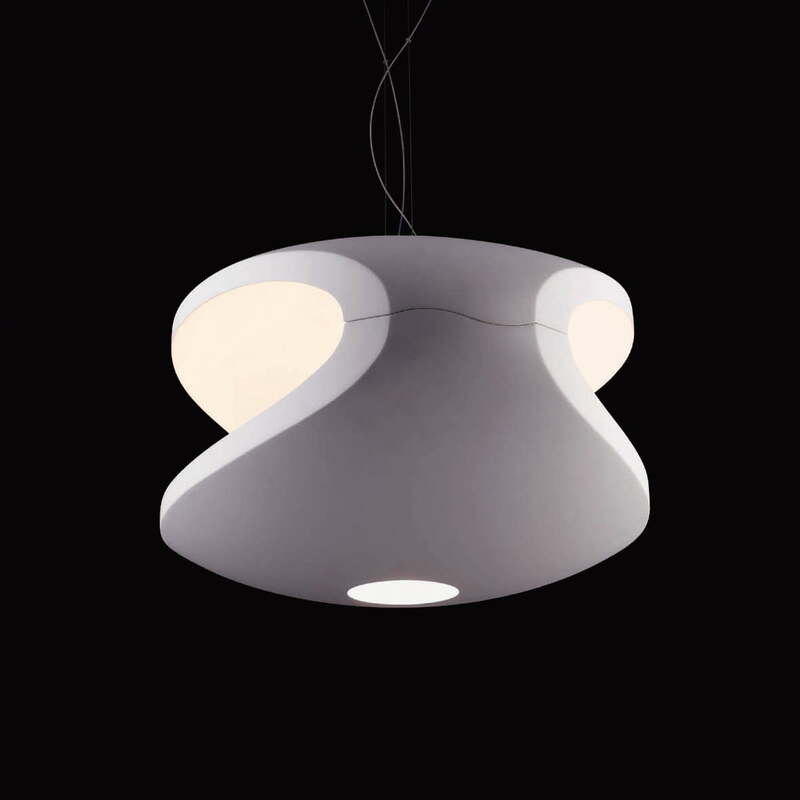 The O-Space pendant lamp from Foscarini was designed by Giampetro Gai and Luca Nichetto in the year 2003. 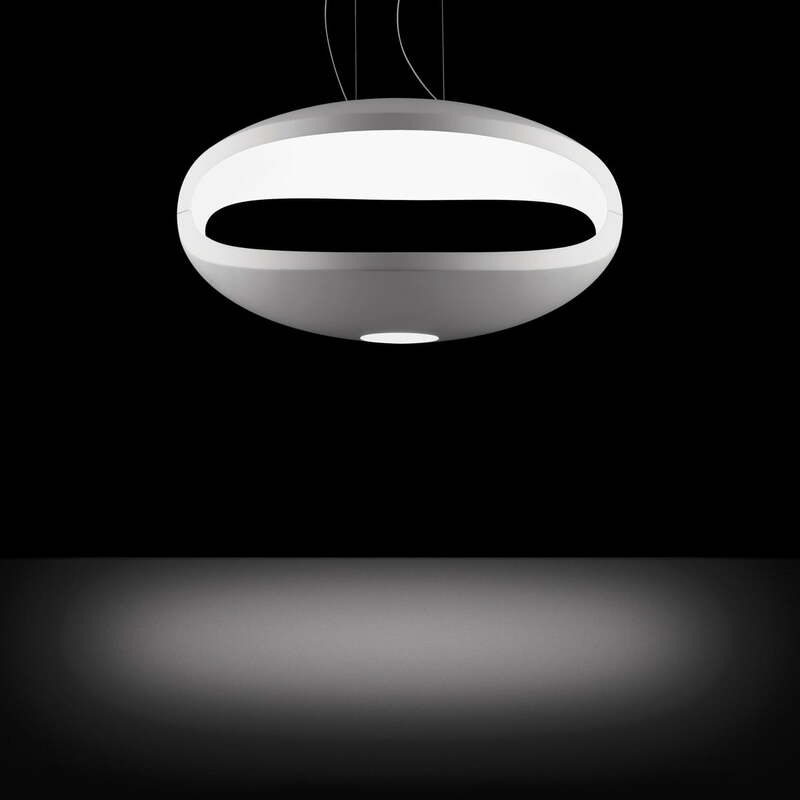 O-Space emits its light up and down simultaneously. This creates exciting and unique light reflections in the room. 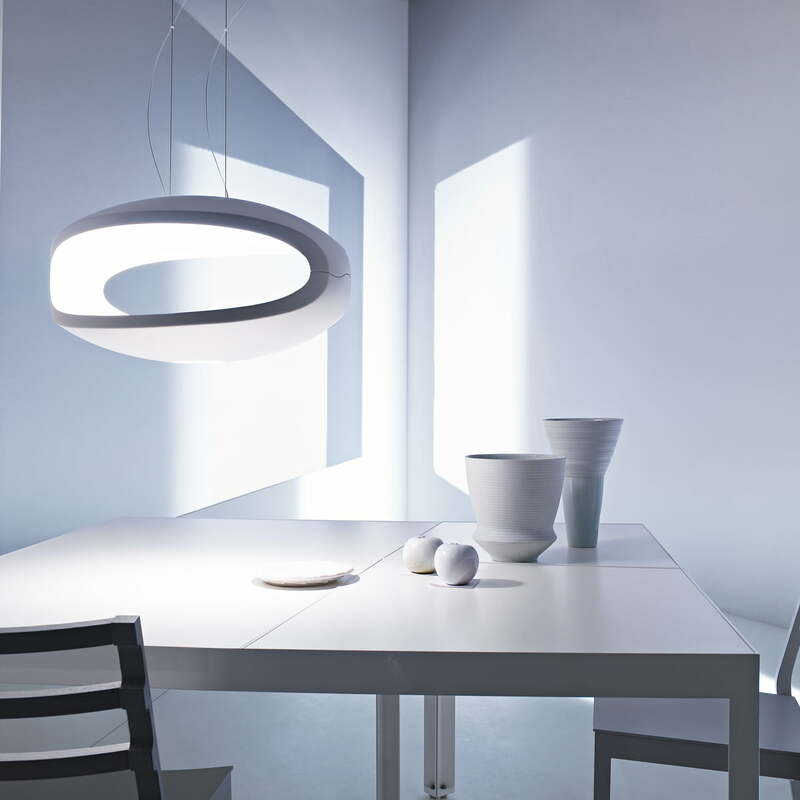 The design of the O-Space pendant lamp is characterised by its flowing forms and futuristic design. 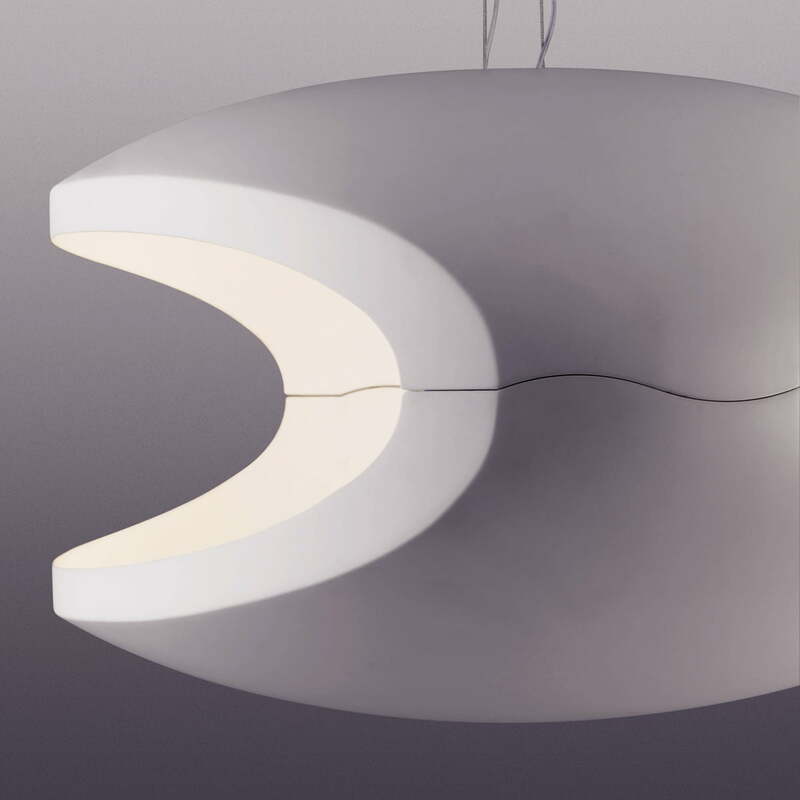 Due to its special design, the lamp not only illuminates rooms with its pleasant light, but it also acts as an eye-catcher in itself. 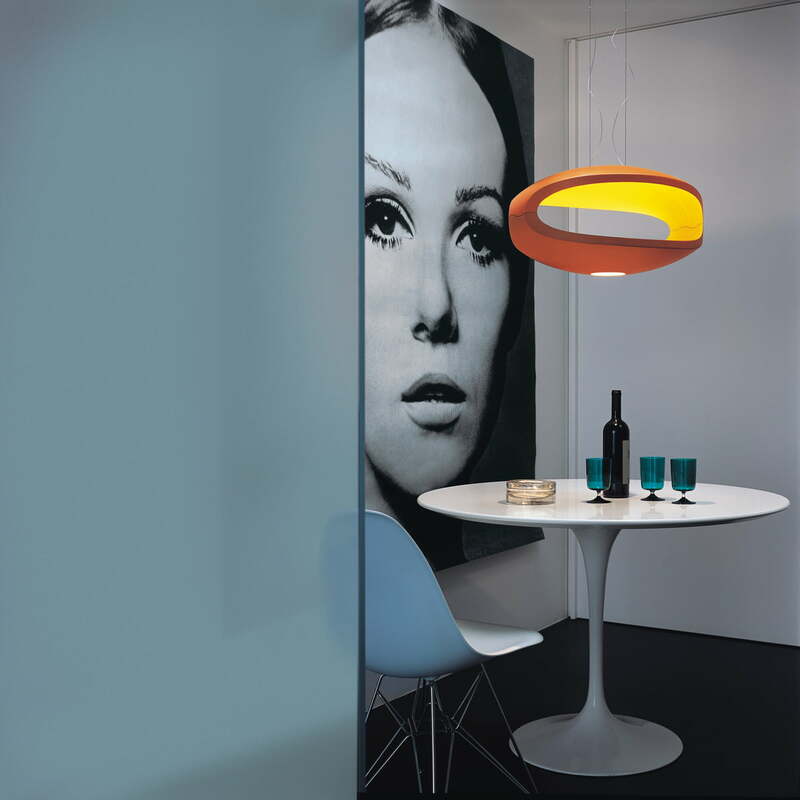 O-Space by Foscarini has a chrome-plated metal bracket and a lamp shade made of colored, high-density polyurethane foam. 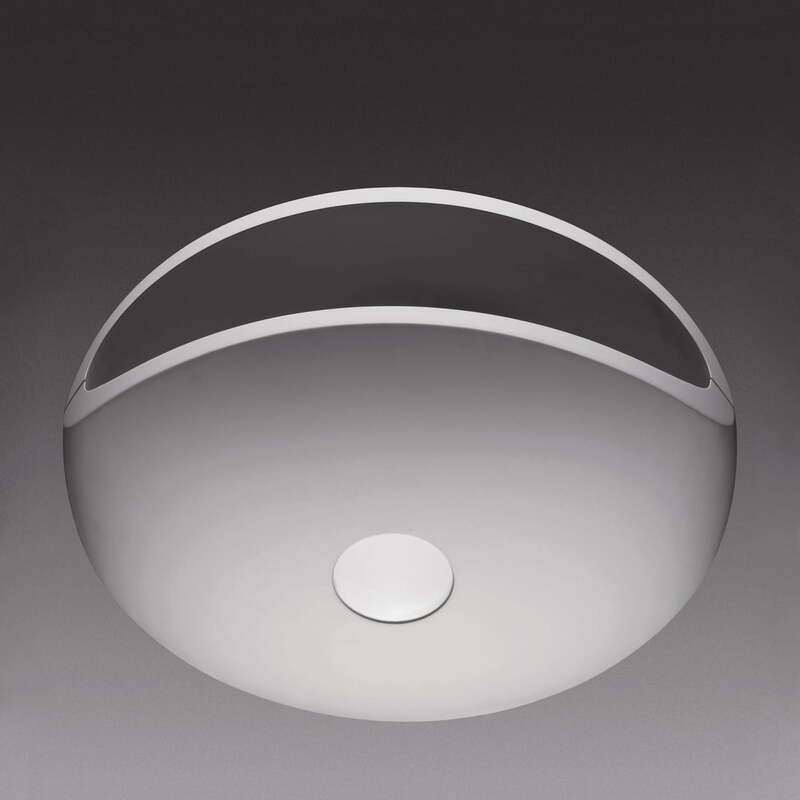 The light from the lamp is radiated directly upwards and downwards and reflected in the room.